Hire Services in Murwillumbah, Lismore, Ballina, Byron Bay, Kyogle, Casino, Tweed Heads, or Kingscliff Nbtrade.com.au provides many listings as we specialise on the Gold Coast and Northern Rivers. Nbtrade.com.au also has business listings right across Australia for the best and most local to you, look no further then our Hire Services Directory. Your local hire service will provide you with only the best. They've got everything covered be it tools for a DIY job, gear for worksites or specialty equipment for your work or leisure. Equipment hire can meet the needs of painters, electricians tree loppers, home owners or builders. For all jobs, renovations, and improvements, if you dont have the correct equipment look no further then Nbtrade.com.au Hire Services Directory. Stop avoiding and get the job done! 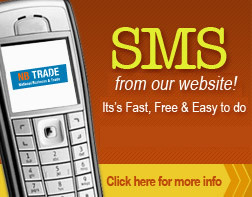 Email or SMS Straight from our Hire Services Directory. Don't be bombarded with misleading advertising, confusing claims and simply bad information. Nbtrade.com.au provides all the information you need. From contact details to specialties. Helping you source Hire Services of the highest quality of care.